The warning signs were many, frequent and decevingly easy to ignore. Just soldier on without pausing to think or feel. Everyone does it. It’s all good and well. If you want to dig a massive pit of depression and anxiety to fall into, that is. Somewhere along the line of suppression and ”strong” stoic behavior, I realized there wasn’t much left of me. This wasn’t strong. It was the opposite. I turned into an absolute robot to cope with everyday life. The only genuine emotion left was the bouts of anger and the growing frustration. A spotless career became a facade to keep up. Very little was right beneath. But what to do? The road to action for people in this situation is ridden with obstacles. Society wants silent, produtive moneymakers. Work, consume, don’t wander off the beaten track. Seeking help was always there as an out, but more in the hypothetical sense. The thought of phone calls, medical meetings and workplace confessions makes it exponentially worse. Add to it that everyone in the process will do their best to stand in the way of proper treatment. Months passed. The racing thoughts, non-existant focus and zoned out presence found a new set of friends in delayed reactions, short term memory loss and chest pain. The destructive cloud of thoughts just wouldn’t budge. The worst part was that it no longer stayed home. It accompanied me on pristine Asian beaches and hedonistic metal festivals. There was no longer a space to breathe. I was retreating and wearing the same plastered smile among long-awaited friends. Over the years I’ve grown increasingly introverted, but these spaces still used to allow me to let myself out of the confines and just be for a while. A period filled with kick-offs, work travels, apartment moves and other grown-up activities I’m hard to pressed to say that I give any form of crap about rendered me permanently in a social hangover zone. There was no space left to breathe, create or enjoy anything. Recording the guitars for Desolator‘s long-awaited second full-length album was hell. It was self-doubt. It was self-imposed time pressure. It was a machine doing a human’s job. 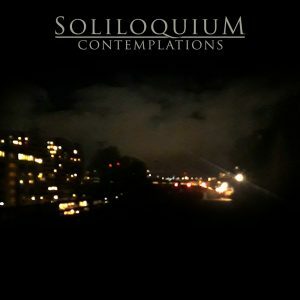 Releasing Soliloquium’s ”Contemplations” album on June 1st was cathartic and successful, but my focus was still wandering. At least my spirit was. Summer was supposed to be the end of all the constant tasks and thoughts that plagued the spring. It was on paper, but my mind didn’t find its way off the mental gas pedal. Productivity sure found its way off the gas pedal though. 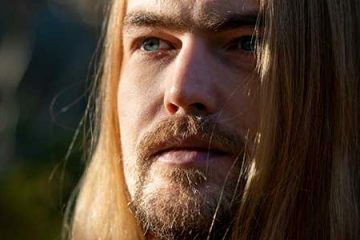 After getting the album up on Spotify, Bandcamp, YouTube and other platforms, no lyric videos or special guitar playthroughs followed. My mind was boiling with plans, but no end results were coming. It took time for the inevitable crash to come, but after simply not getting out of bed after my vacation, I found myself in an unfamiliar setting; across a doctor in a sterile, white office. The ball was set in motion. Sick leave and treatments. The facade of solid employee and functional person torn down. No turning back. Chances are, it will only benefit me in the end. My blind persistance really only served others. It’s empowering to take control, even if it’s control by deconstruction and probably ruining your future career in favor of months of slow mental health care. Understanding for mental illness is rare, to say the least, and often reserved for people with personal experiences. For the fully functioning, a life of rolling, repeating tasks is engaging enough. Be born, consume, find partner, replicate. My existential crisis of the last two years has largely centered around this. What the hell would actually even make me happy? In my current state, I’m sure I could be sitting around a house on an Indonesian beach without a care in the world and still explode with anxiety. This convalesence is a part of that larger process. I don’t see this broken shell making many smart decisions right now. It’s better to back down and just do my best to find my way back to some form of joy and peace. I have constructed so many escape plans in my mind to escape the normality that feels like a tightening noose. The expectations are just not something I can comply with anymore. It’s a time to tear everything down to the last stone and reconstruct. There was an initial sense of strength and grandeur, but it was damn short. Seeking help made me realize that there truly was something wrong all along. The next few days were confined to half-sleeping in bed, exhausted. It won’t be a time of freedom, space and creativity. It’s more likely to be another chapter in a long struggle for purpose. A few days later, it was time for my first psychotherapy session; completely unfamiliar territory. It went surprisingly smooth, and in minutes I was describing concepts and problems that I’ve discussed with so many people over so many beers. I have no problem putting my personal crap out there and it felt like something I could really benefit from. Not to be mention being nice enough to hand the psychotherapist a personality web worthy of a world champion to untangle. The main advice was to let everything go completely. No ”musts”. I need to learn to appreciate again. Find some passion instead of always creating a web of tedious tasks. My mind needs to stop creating crazy escape plans and focus on the moment instead. For me, this is harder than it sounds. It’s a weird struggle to drop everything in an effort to appreciate it again. 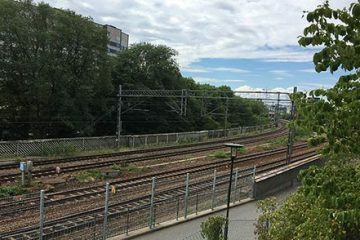 I wound up wandering a pristine Stockholm summer day, just trying to feel the colors, shapes and sounds again. Having a coffee and reading a book on the balcony feels alien. I’m in the mode to rush somewhere. It’s going to be a long road back to making any kind of sense again. For the music, this means scaling back to the basics and finding focus again. It’s supposed to be about the passion and creative joy. No ”musts”. No business. I’ll try to not to juggle projects in different statuses in the way I used to. Since the Soliloquium album just came out, I’ll put all my musical focus on the new Desolator album and upcoming Stockholm gig. Thoughts of rehearsals, recordings and social encounters became an introverted Tetris game in my schedule. Where could I find somewhere to breathe? I felt smothered. This is supposed to be the thing that gives me energy. I’ll do everything in my power to find joy in the gig and rock out with the energy that we did a few years ago. Six weeks of one-sided positive musical focus should be a realistic step in the right direction? Soliloquium riffs and song-titles are already spinning around in my head, but this time they’ll just have to wait so I do this process right. For life overall, this is a start that raises so many questions. What if assuring decent mental health means never working 9-5 in an office again? How can I then find a lifestyle that plays to my strengths? It’s these thought labyrinths that sends my introverted mind spiralling and got me here in the first place. The problem is that in this situation, there is no such thing as reason. The ”reasonable” decisions got me here, to road’s end. Suddenly, it’s going to be all the more about courage; making the big decisions with big consequences. It’s going to be about discarding the things most people actually want. This with a mind that’s dysfunctional in the best of times. Shutting down the overthinking and mood swings to make the decisions right, one at a time, is a challenge and only the start. Hopefully, a successful depression and anxiety treatment can give me the space to restart and find some form of perspective. I’m so tired of this blurry mind. Either way, it will be a tough time with high risks and high rewards. At least that’s better than slow, brooding decay. My music’s connection to my illness is just too obvious to ignore. ”Contemplations” is this type of overthinking put to paper in the only positive way I can imagine. 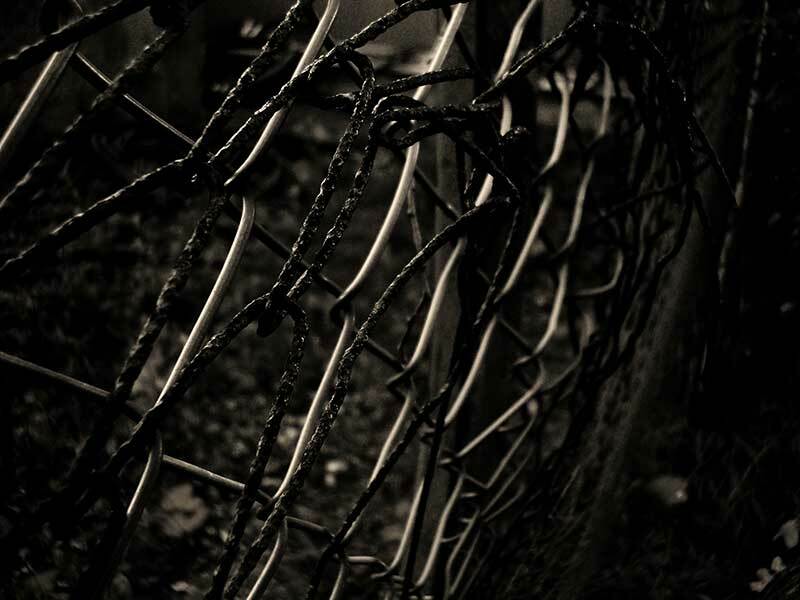 ”Chains” and ”Catharsis” is the double-combo of a hyper sensitive mind in the world of the ones who can blindly collect themselves, perform and move on to the next station. ”In Affect” is the hymn to introversion that I wrote even before I realized how much of an introvert i was. It makes a lot of foreboding sense now. Since I’m not in the creative zone with Soliloquium right now, these blogs will probably be my outlet. My first posts about introversion got some nice responses and I hope this treads the same fine line of personal, relatable and readable. I feel a similar creative satisfaction to when I write a Soliloquium song, which is interesting. It’s a sure sign that there is more to come. Being an introvert myself and 11 years of suffering from depression, I can confidently say, every line you wrote was relatable. For creative people, it’s a bigger punishment to not be able to think clearly and come up with something fresh. Even when you really love a certain form of art, you don’t really feel passionate enough to go forward with it. And being in a 9to5 situation makes it 10X worse. I have left multiple jobs to pursue my passion. But depression didn’t let me make a lot of progress. I feel the exact same way. It’s like a maze. Yeah, I’m doing my best to fight back. Music is certainly the key element that makes me go on most of the time.